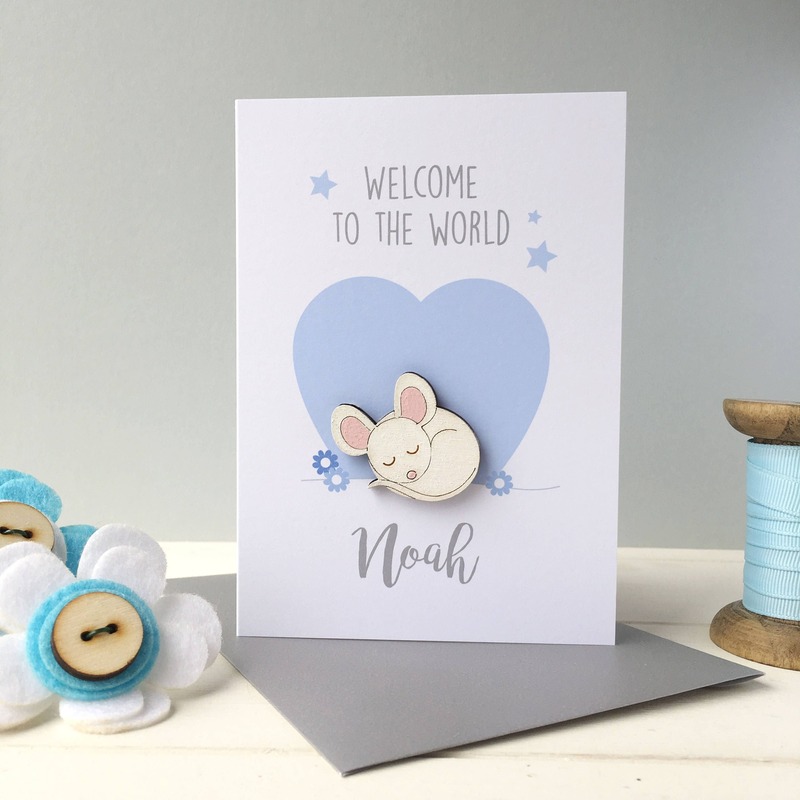 A beautiful baby boy card. 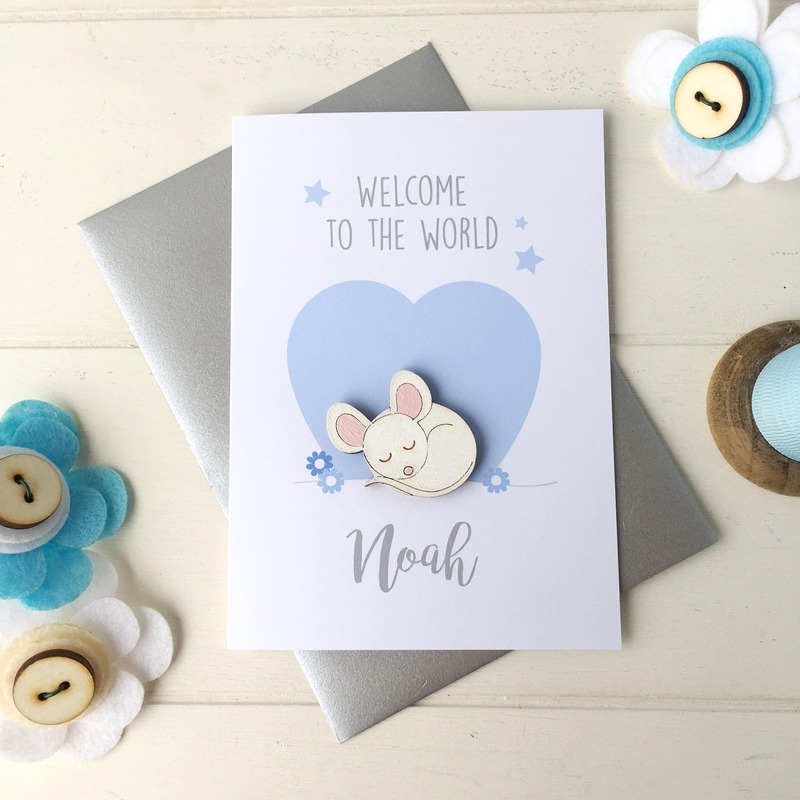 The card is printed in pastel blue shades on luxury white card. It is printed with "Welcome to the world" and below is add the name of the baby. 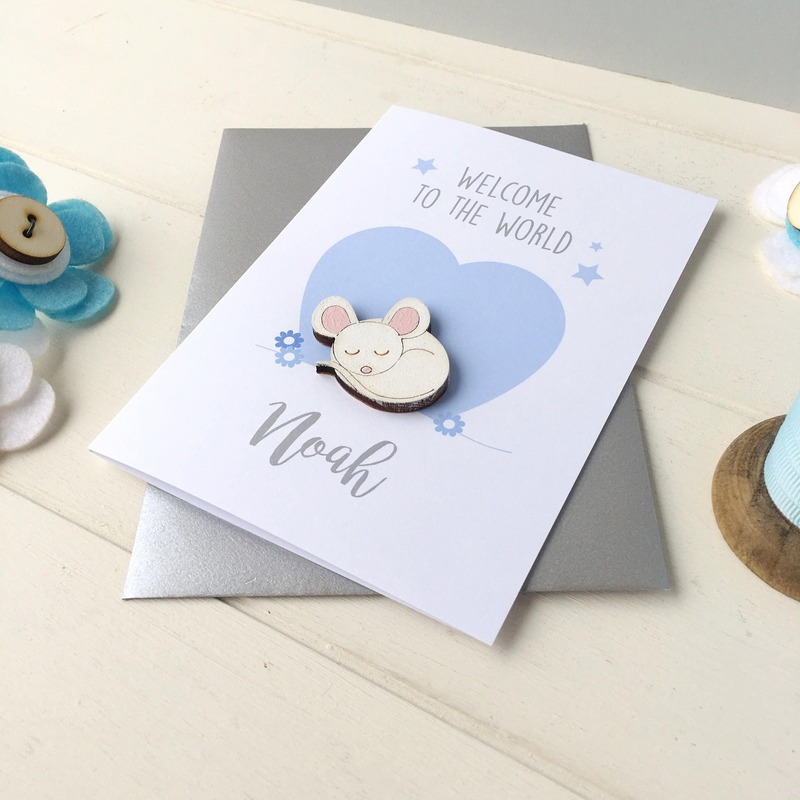 Each card is made to order and features a cute hand painted baby animal nestled in a blue heart. 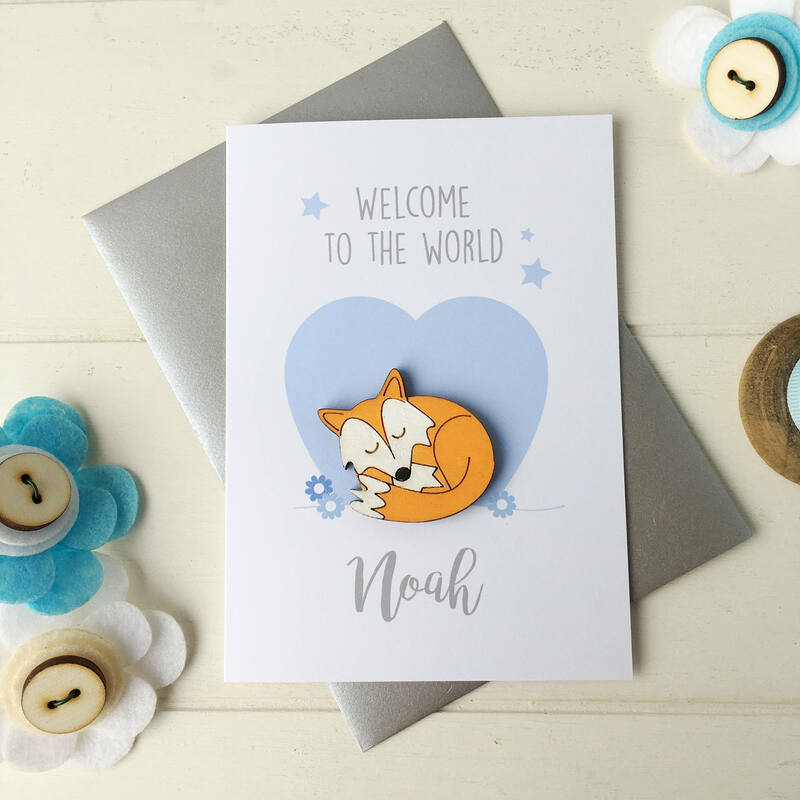 There is also a choice of four animals, mouse, fox, rabbit or hedgehog. 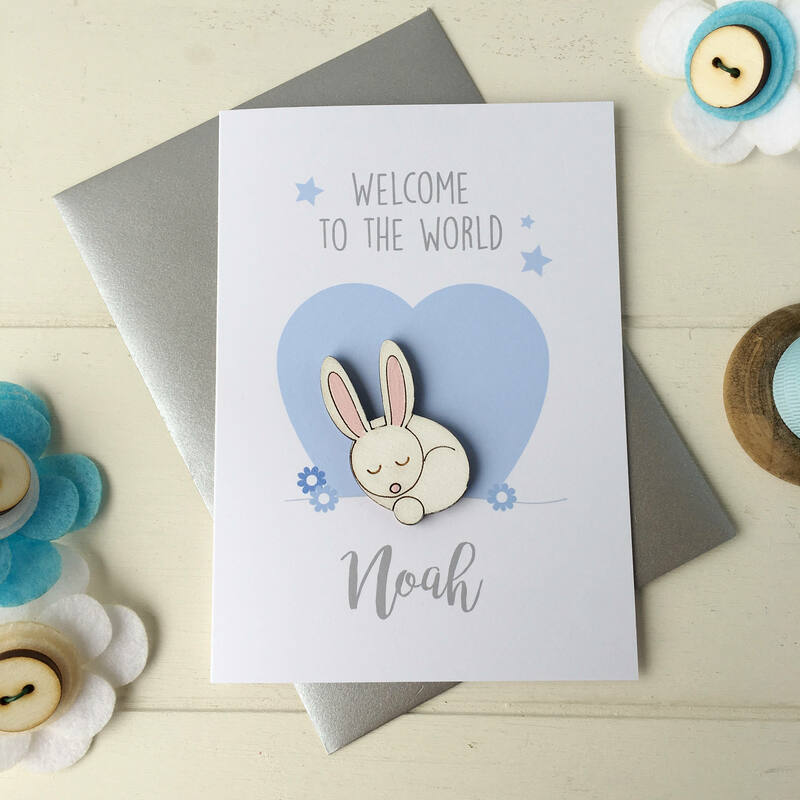 The card comes with a silver envelope and the inside of the card is left bank for your own message.